The Child has his first fireworks show last night (he fell asleep too early the last two 4ths). 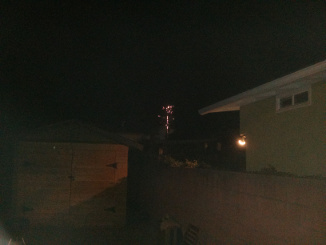 Here is the view he had from our backyard. Sorry about the poor quality. I took this while standing on a chair with The Child on my shoulders using my phone.